At Hillcrest Senior Living, our secure Memory Care Community is here to help provide you with all the comforts of home but with the added benefit of safety. Our compassionate staff is here to aid you in your Activities of Daily Living, provide monitored activities for all dementia levels and provide the ease of mind to families that loved ones are in safe and secure surroundings. Older adults sometimes have trouble leaving home to receive care elsewhere, but in Hillcrest Senior Living, we offer dementia care and our residents are welcome to bring belongings from home with them to try to make their new residence feel as much like home as possible. We offer our residents with memory issues much different care than regular care in our Assisted Living Community because everything is secured and supervised with staff on hand 24-hours-per-day, 7 days a week. Our staff does activities with our residents right in the Memory Care Unit, but will accompany them to other Hillcrest Senior Living daily activities. 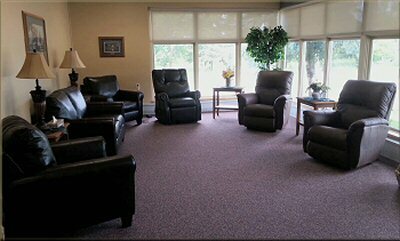 It's very important that our memory care residents are able to socialize with other people. Our staff is able to help our dementia residents and give them more one-on-one care that they require when confusion sets in.